Attached are a few photos of OTC, and also a shot of Tumon Bay, now loaded with hotels and strip malls. We sure lived there at a good time. A friend of mine who lived on Guam and was known by a lot of OTC folk visited there last week (circa 1/8/17) and sent photos of the station and the area where the houses once stood. All of the houses are gone and now overgrown by vegetation. These photos may be of interest to past folk who worked at the station. Hi, Thanks for Laurie’s pics of Guam. We were so taken with the place that Liz & I + Ben McGee and Janine, went back there Nov 2009. We called at the cable station which is now owned by AT&T, and as expected they wouldn’t let us go inside for security reasons. However they didn’t care if we looked at the houses. They had erected a cyclone wire fence along the road but gave us the key to a gate. The houses were still there but obscured by the jungle, and I suspect they are still there. Attached are my photos (I have lots). It was sad to see the state of the houses which were once so good. We lived in number 105 directly in front of the cable station and the house pics are of our house. I cant understand why the US air force never used these homes as I believe they were on their land. There was a terrific view over Tumon bay from the back verandah. 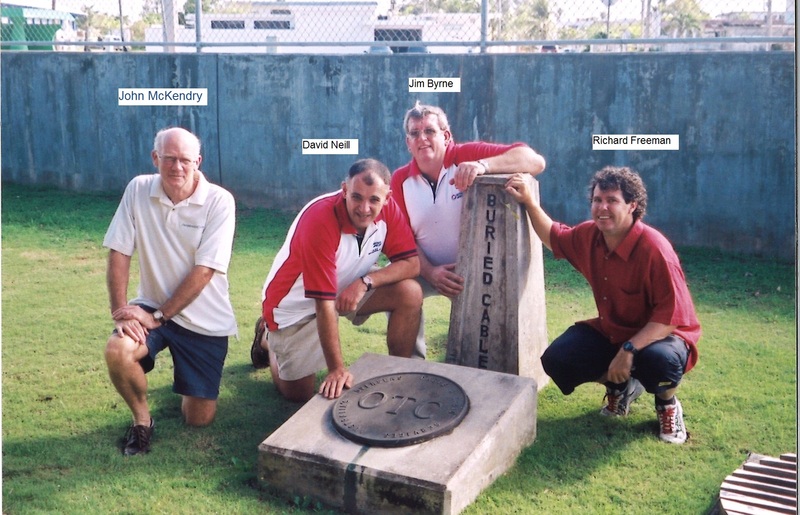 The recent photos of Guam you sent reminded me I have some from my 2002 visit for a Australia –Japan Cable meeting. The attached shows the OTC plaque on the lawn in the front of the Tumon Bay Cable station.